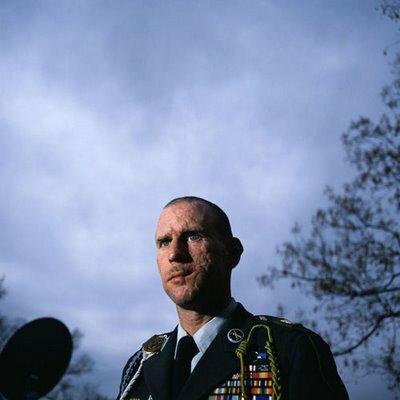 The theme of MassArt’s “War Stories” is what we talk about when we talk about war — the Iraq War in particular. Tall tales got us into this war, beginning five years ago next month. 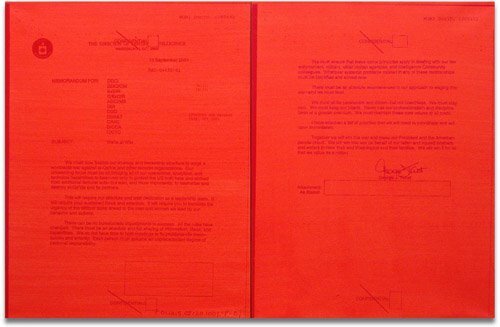 And as MassArt’s Lisa Tung, who organized “War Stories,” notes in the exhibit’s wall text, we still struggle to locate the war’s facts amid all the confusing data, all the debate, all the spin. The show is deeply depressing because the subjects are so depressing: unheeded warnings, our war-wounded veterans, the black hole of indefinite imprisonment and torture that we’ve created for our war prisoners. “War Stories,” MassArt’s Bakalar Gallery, 621 Huntington Ave., Boston, Feb. 11 to March 12, 2008. Pictured top to bottom: Nina Berman, “Sgt. 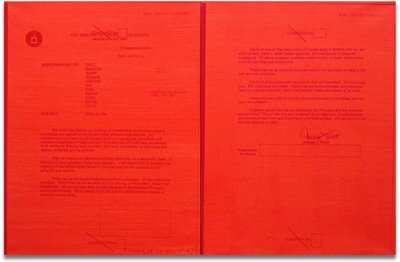 Joseph Mosner, 35 wounded in Khalidya when a bomb blew off his scalp and face”; Jenny Holzer, “We’re at War (Red),” 2006, oil on linen diptych, courtesy of Barbara Krakow Gallery, Boston.